Easy Confidential Search! Just Click on my "Search For Homes" button and then on the Link of your choice for a FAST Home Search. As Tucson's Buyers Only Realtor* I work ONLY with Tucson Home buyers! I focus on MY client's needs and wishes exclusively. Unlike other real estate agents, an BUYER'S ONLY AGENT works for YOU, the BUYER, not the seller. I like to say that I specialize in people, not houses. My website does feature extensive Tucson community information, consumer links, Tucson school information, answers to commonly asked Tucson real estate questions, and more. You'll find everything about Tucson, AZ real estate within one easy source. Tucson is currently a SELLER'S market. We need more inventory in most price ranges. There are still a LOT of new and inexperienced agents in the marketplace. A lot of the listings are still overpriced. A lot of sellers are still being unrealistic! Inventory is lower than ever. Multiple offers are common. You need the best person possible to recognize that situation, and have the experience to get you, the Tucson Home Buyer, the proper price and the best terms. Someone with no conflict with the seller and you, the Tucson home buyer. That would be ME! Click on the “FOR BUYERS” button. There you will find all sorts of tips and comments. Just fill in the information in the various fields at the bottom of that page and send that information to me. You can use that link to tell me what sort of home you want. I will send you the information you seek. I'll do the work so you don't have to! Click on the button marked “SEARCH MLS LISTINGS” …that’s the best local link for you to search the web for homes listed in the Tucson MLS system. Whether you are a new home buyer or a long time property investor, you will find useful information about how to choose the "right" property in the entire Tucson area, making an offer on a home, negotiating a contract, financing, great mortgage rates, moving to or in the Tucson area, and everything involved in making an informed real estate decision in today's Tucson real estate market. Remember that as "TUCSON'S BUYER'S ONLY AGENT*" for Tucson, Oro Valley, Marana, Vail and Sahuarita homes, my website never tries to "sell" you on any of my listings, or anyone else's listings, for that matter. Once again, I NEVER take listings! I work ONLY with Tucson Home buyers! I focus on MY client's needs and wishes exclusively. I like to say that I specialize in people, not houses. My website does feature extensive Tucson community information, consumer links, Tucson school information, answers to commonly asked Tucson real estate questions, and more. You'll find everything about Tucson AZ real estate within one easy source. It’s important to remember why I hope you are on this site. I work ONLY with home buyers. I am THE Exclusive Buyer’s Agent here in Tucson. That doesn’t mean you get left in the cold if you also have a home to sell, or if you just want Tucson home selling advice. If you DO have a home to sell, I can still help you. As you know, I NEVER take listings, but I certainly DO know all the top listing agents, and will OBJECTIVELY, and without regard to company affiliation, find you agents that you can interview and choose the best one for yourself. I do this ALL the time, as many of my buyers need to get their houses sold. If I don't find a top listing agent for them, my buyers cannot get their house sold, and can’t move to the new house I have found for them!! Just call me. It’s free! 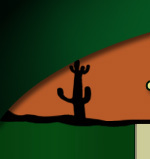 Thanks for visiting my online Tucson real estate resource. Please bookmark this site for future reference, and ENJOY! For all your Arizona real estate needs, please don't forget Jon Quist, your Tucson "BUYERS ONLY" REALTOR®! You can find great local Tucson, AZ real estate information on Localism.com Jon Quist, ABR, CRS, ePRO, GRI is a proud member of the ActiveRain Real Estate Network, a free online community to help real estate professionals grow their business.